Wellington is famous for the breeze that’s been known to pick up from time to time but perhaps not so well known for being a rock climbing destination. In truth the greater Wellington region provides a range of rock climbing opportunities for climbers at all levels and all within easy travelling distance. From the bouldering opportunities at Baring Head to some other delightful seaside climbing, Wellington has a lot to offer. When it comes to alpine climbing, generally you will find Wellington climbers heading north to the Tongariro area and across to Taranaki or making the trek to the South Island. The Tararua range in the winter also provide climbers with a chance to get their crampons and axes out. 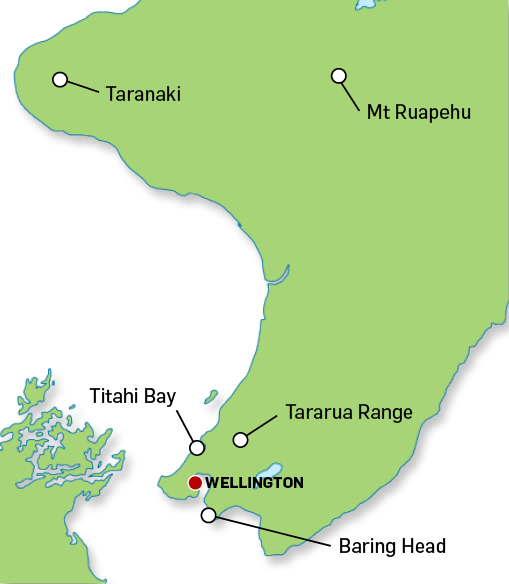 The Wellington section of the NZ Alpine Club has a large, active membership. The section runs both rock and alpine courses each year and provides support to enable members to develop their climbing skills through subsidised club trips. An annual photo competition takes place in the middle of the year providing budding photographers with an opportunity to show off their skills and be in for a prize or two. The Wellington section meets on the last Wednesday of each month at 6pm at the Third Eye Tuatara Brewery on Arthur Street, Wellington. Generally the evening will consist of a brief update from the committee, a presentation from a climbing personality and an opportunity to chat and network with other section members over a drink. We’re on Facebook and Instagram. Our Instagram account is nzacwellington. Dates have been confirmed for our winter Snowcraft courses as follows. More information about the courses will be posted here soon. Level 1 course : Theory evening 18th July 2019, Bivouac store, Wellington. Practical weekend 26-28th July 2019, Mt Ruapehu. Level 1 course : Theory evening 25th July 2019, Bivouac store, Wellington. Practical weekend 2nd-4th August 2019, Mt Ruapehu. Level 2 and Level 3 course : Theory evening 8th August 2019, Bivouac store, Wellington. Practical weekend 16-18th August 2019, Mt Ruapehu. Level 2 and Level 3 course : Theory evening 15th August 2019, Bivouac store, Wellington. Practical weekend 23rd-25th August 2019, Mt Ruapehu. The purpose of the Level 1 Snowcraft Course is to provide an introduction to travelling in low-angle alpine terrain where snow and ice may be encountered but rope protection is not required for safety. It is designed for individuals who have little to no experience in an alpine environment and focuses on personal preparation and movement on snow. The purpose of the Level 2 Snowcraft course is to provide fundamental alpine skills for travelling in low-angle alpine terrain up to 30º where a rope may be required for protection. It is designed for individuals who have limited experience in alpine terrain and are looking for an entry-level course in mountaineering. It develops on the core lessons taught in the Level 1 Snowcraft Course and introduces the use of ropes, harnesses and anchors required for protection when travelling in steeper terrain. The purpose of the Level 2 Snowcraft course is to provide extended couching alpine skills for travelling in moderate to steep angle alpine terrain where pitching is required to progress. It is designed for individuals who have reasonable experience in alpine terrain and are looking develop further techniques in mountaineering in order to access more routes. It develops on the core lessons taught in the Level 1 and Level 2 Snowcraft Course and introduces concepts of movement and travel over a wider range of snow and mixed terrain. A post-course trip will take place over the weekend of 6-8 September on Mt Ruapehu. The club runs a variety of trips in both the North and South Islands. Trips are pitched at different levels to provide opportunities to those who are just starting out as climbers through to those climbers with more experience. Tukino is proving to be a popular destination for rock, general alpine and ice climbing as well as ski touring. The club has a number of PLBs available for section members to use – club trips have priority over individuals. There is no charge for PLBs, just a deposit. We also have ice axes, avo gear and crampons available for hire to section members only. Complete the form if you’d like to hire gear. Please give as much notice as possible for gear hire (at least a week).